Vblank Entertainment went off the grid for a little while after releasing Retro City Rampage DX on the Nintendo Switch back in 2017. 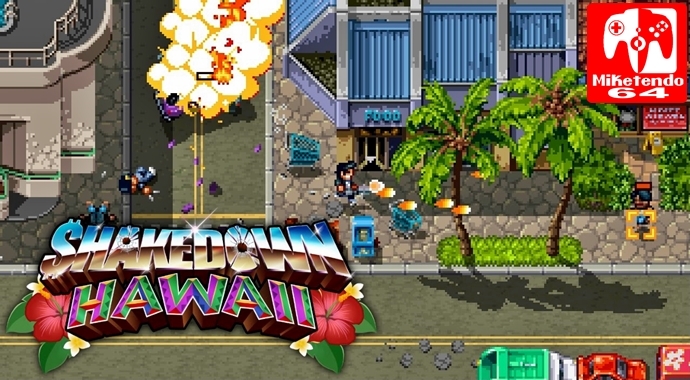 We did see a trailer for their upcoming game Shakedown: Hawaii back in July 2017 as well but not much had been said since… until now. Vblank Entertainment will be bringing a playable demo of Shakedown: Hawaii to PAX West 2018 this weekend. It will be the PS4 build and presented at the Playstation booth but that shouldn’t stop you from trying it out if your are going to PAX West. A teaser trailer for the game has also been uploaded to Vblank Entertainment’s YouTube Channel which we have shared below. A full overview trailer is in the works and will be uploaded some time in September.